Students in Voices Alive! 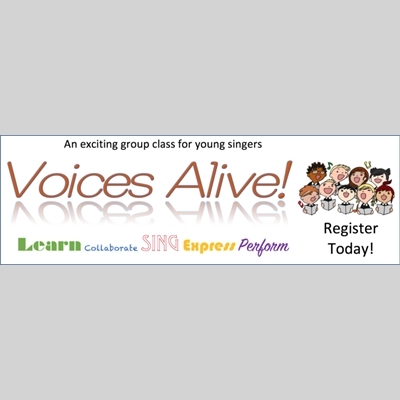 will receive 14 hour-long sessions to explore the foundations of healthy vocal technique and learn fun selections from both traditional and contemporary musical theatre. The class will culminate in a showcase performance during the last class session featuring fun songs and choreography! For singers ages 8-12. Students receive a $20 discount if also currently enrolled in a full semester of private voice lessons. Enter the coupon code VOICESTUDENT at checkout.